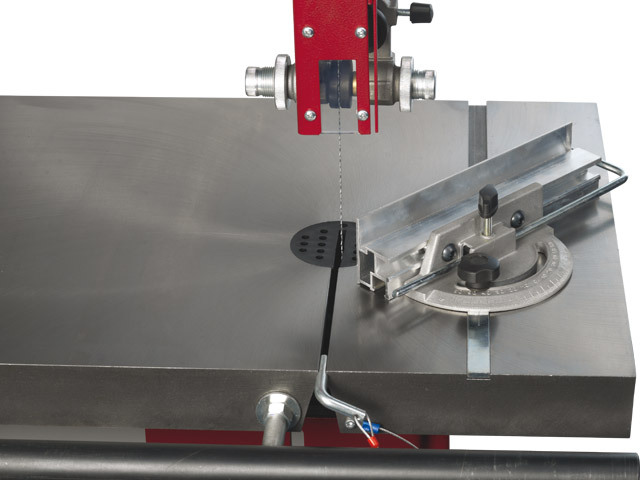 Optimum saw blade tension with the blade tension indicator. 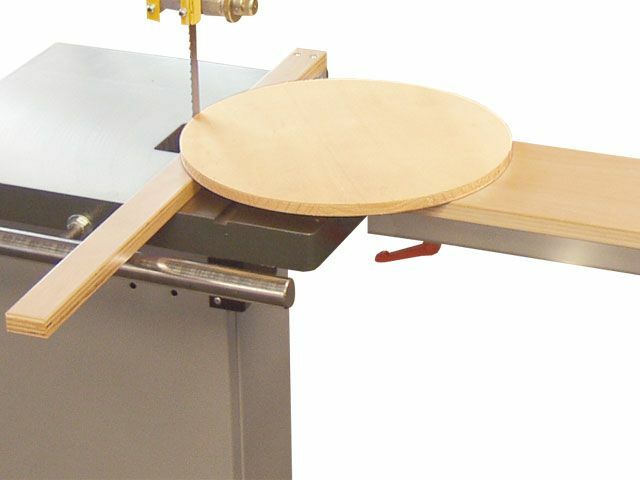 The machined and polished cast iron table can be tilted from 0° to 20°. 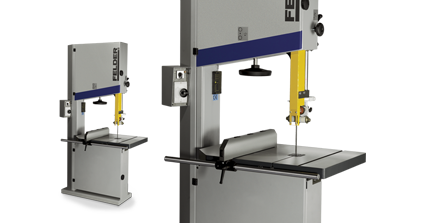 Precise adjustments can be made with the cast iron fence on both sides of the blade. 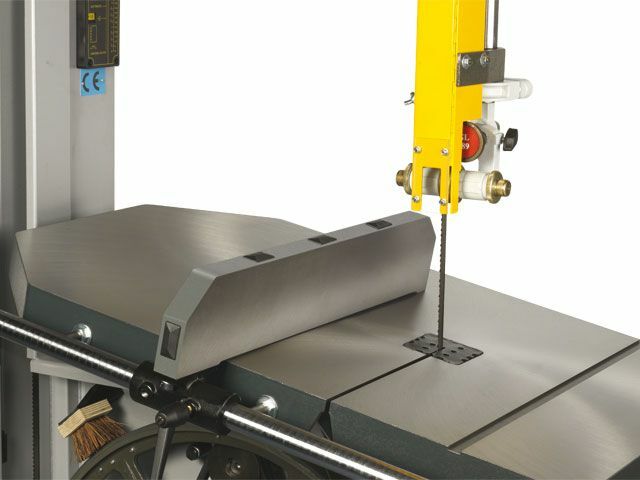 When working with large workpieces it can be tilted away below the table. 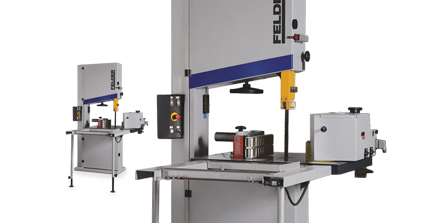 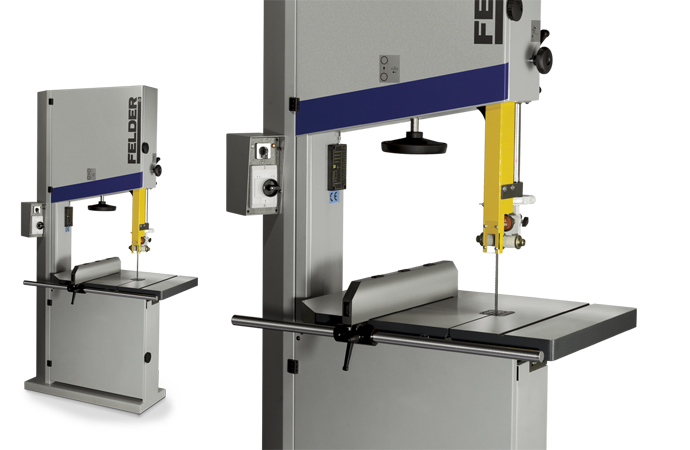 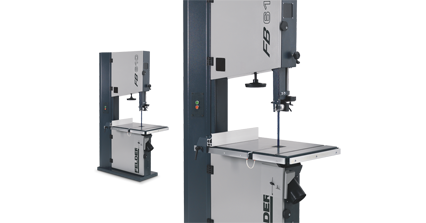 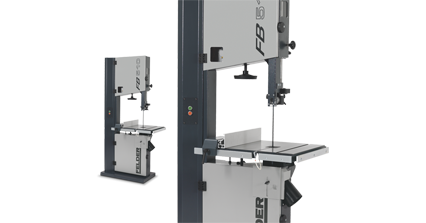 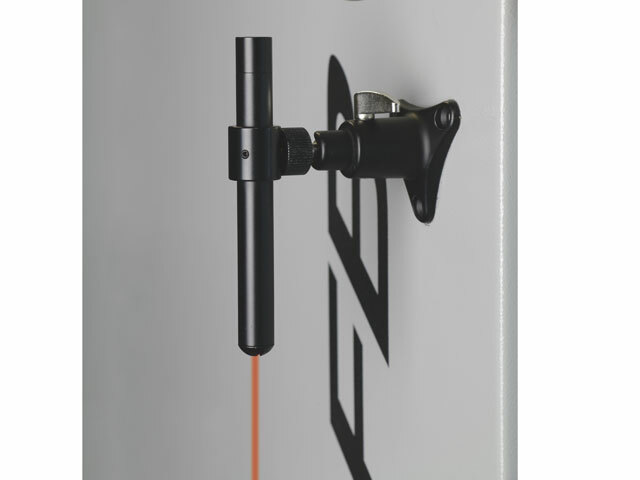 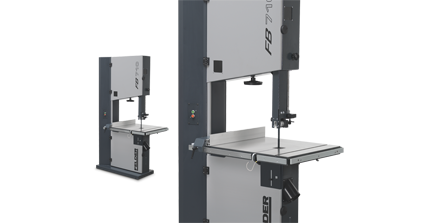 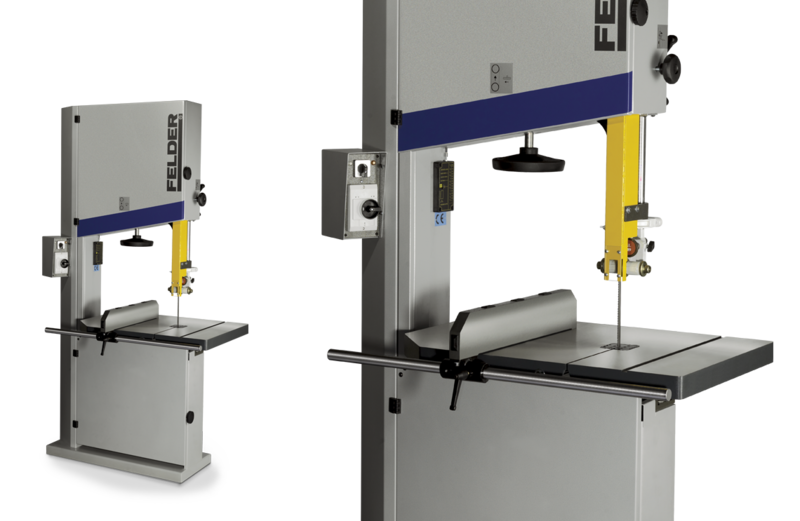 The Felder linear laser for bandsaws makes it possible to project the cutting line of your workpiece and serves as an optical guide when cutting. 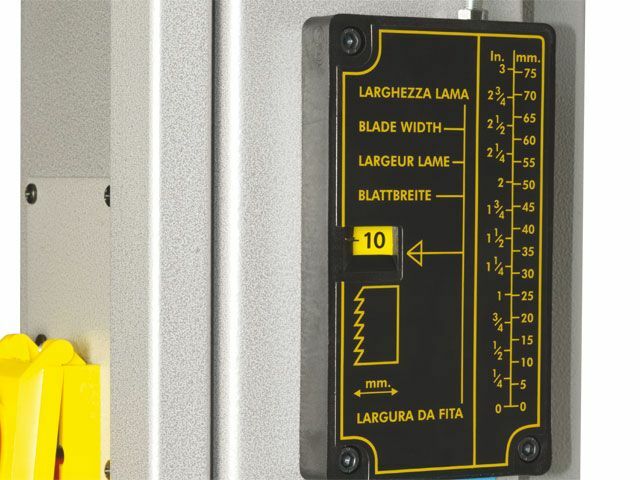 This makes it possible to align the workpiece in advance and minimises waste. 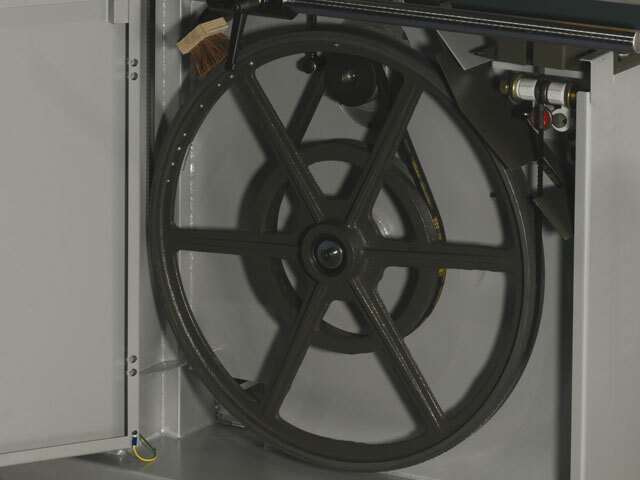 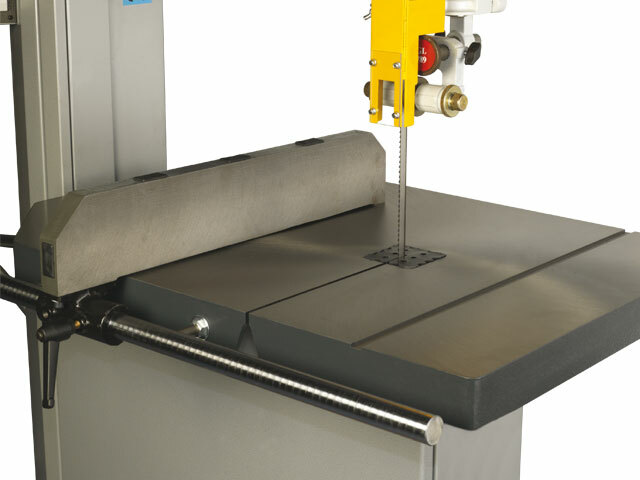 The mounting plate allows the linear laser to be retrofitted on to any bandsaw.